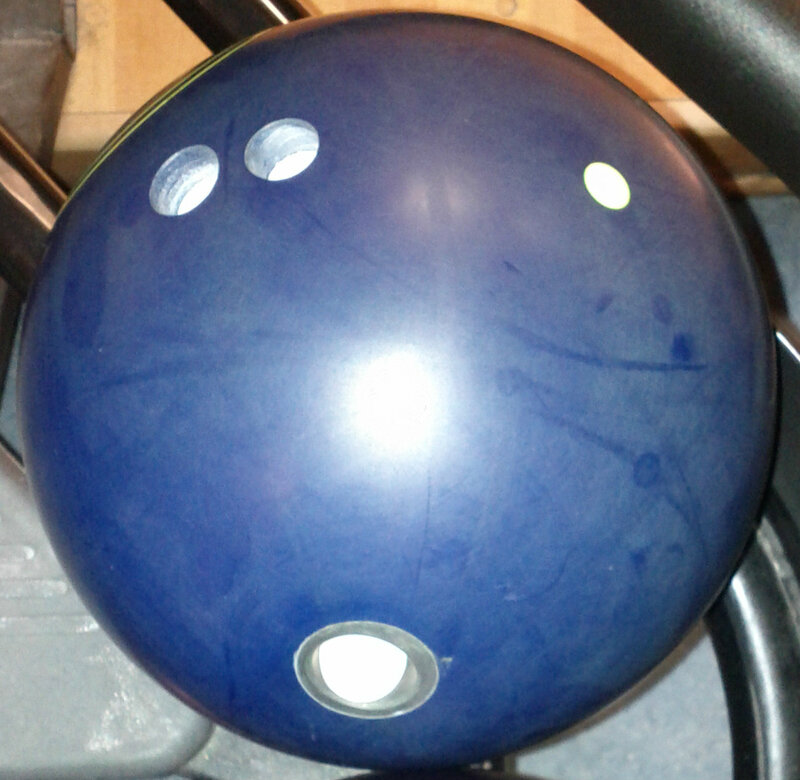 Next up for testing, the Brunswick Karma Urethane. As usual, keep in mind that the coverstock will account for 70% of ball reaction while the core characteristics and drilling will dictate the shape of the reaction. Probably for urethane, the coverstock will even account for more of the ball reaction. Michael Raquidan is our tester this time around. He is a rev-dominant Powere Stroker with PAP of 4 x 1 5/8 up. Generally speaking, the intent of these layouts is for max control. 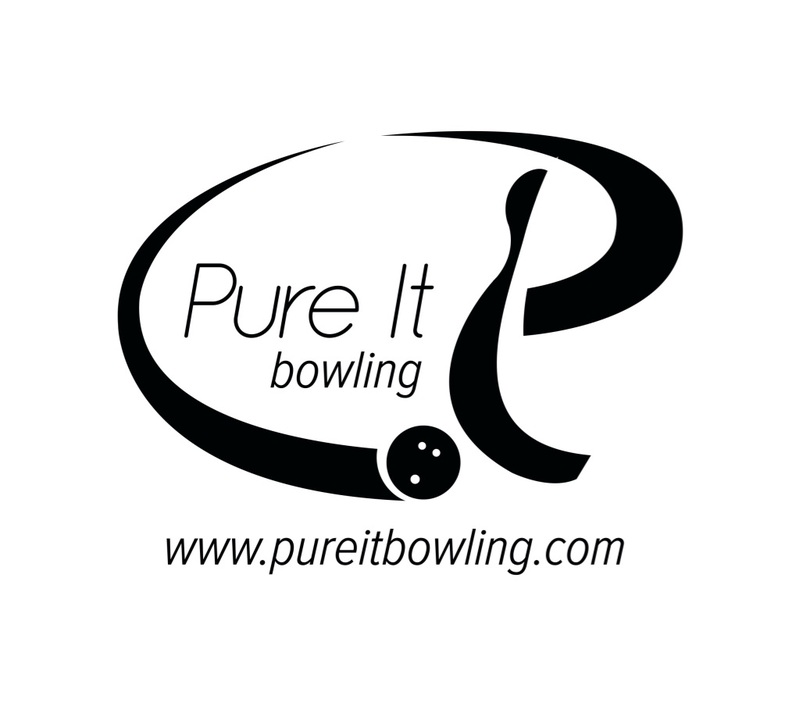 Really, is this ball a Urethane ball, let alone a pin on axis??? 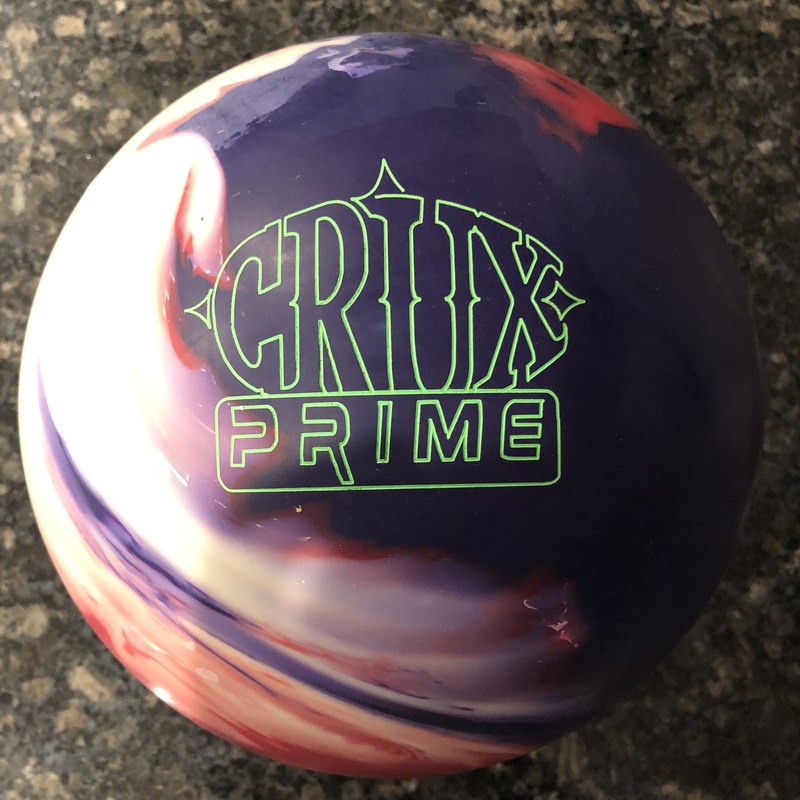 The Brunswick Karma Urethane is priced at the entry level which makes it very affordable. The Karma Urethane uses a Medium RG Performance core. It’s basically the traditional light bulb core with an RG of 2.567 and differential of .040. This core shape has had success for many years and added to the urethane cover allows some good motion, not unlike the Storm Natural. The Karma uses what seems to be a relatively strong urethane cover. 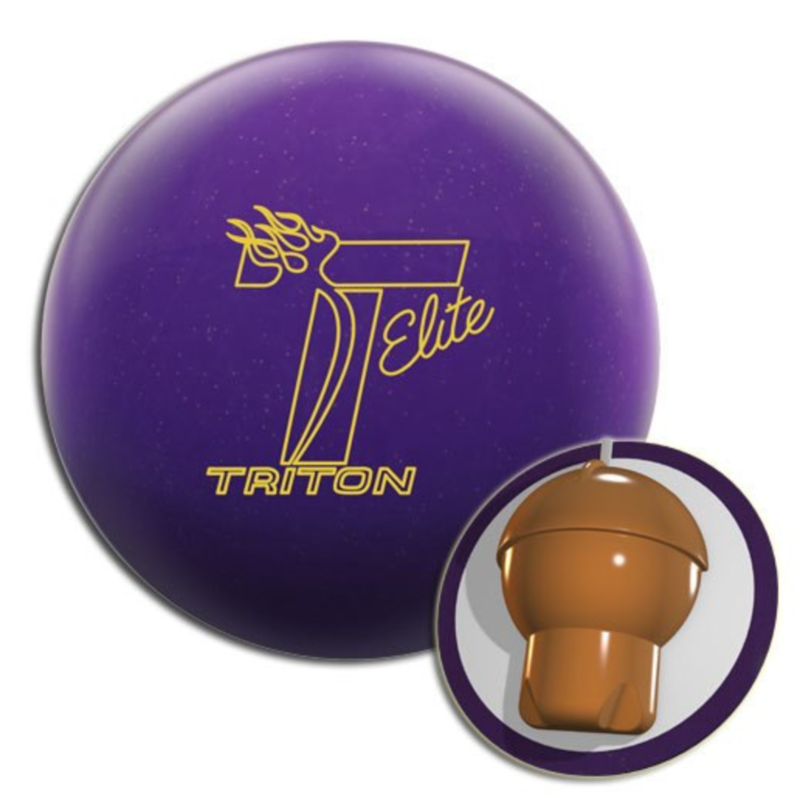 We were not able to put this right up against another urethane ball so hard to say how it would compare to another. However, urethane is urethane and it offers a very predictable motion. Urethane balls have made a come back in the last few years so I think most people have had an opportunity to see this reaction come back in play on today’s conditions. Urethane is really all about control. It reads the lanes relatively early and make a very smooth transition from skid to hook to roll. The Karma is no different in that regard. Mikey’s ball is drilled pin on axis which really cuts down the track flare and a very early controlled move. Obviously Mikey is gifted in terms of the amount of easy revs he creates, but even then, I was surprised by the amount of motion this ball had. 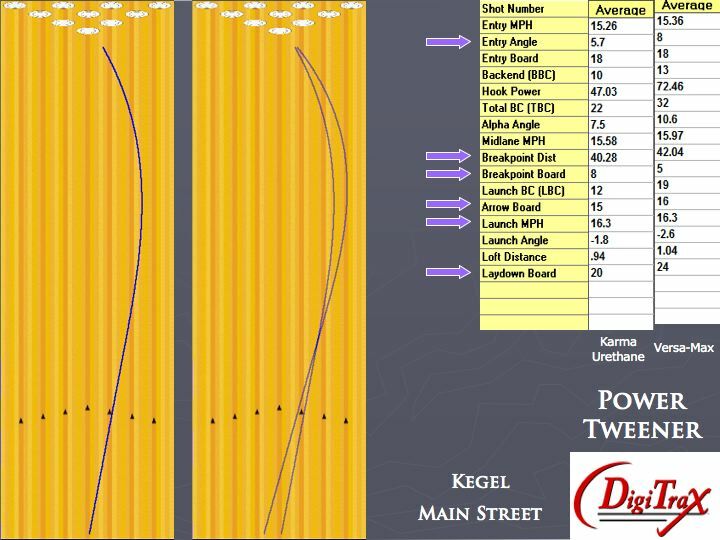 Taking one look at the Digitrax analysis shows you how much motion Mikey created with the Karma Urethane. That kind of board coverage and entry angle is really not what you would expect from a urethane ball drilled pin on axis, but there you have it. The numbers don’t lie. Now again, a lower rev bowler will not get this kind of motion, but you get an idea of what the ball is capable of. You can also see that the breakpoint is earlier than the pattern length which shows you how urethan reads early. Compare that to the Versa-Max where Mikey could swing it a lot more and the breakpoint is 2 feet longer with much more backend motion as expected. The Karma Urethane is Brunswick’s latest urethane offering. Recall the Avalanche urethane from a couple of years ago was a pearl. It offered a little more length. The Karma is a solid version which has a more traditional early move for the urethane, adding a ton of control in the midlane. 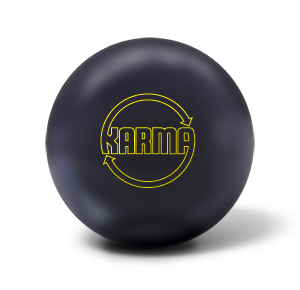 When the lanes are very dry or you need to point the ball, the Karma Urethane offers something virtually no reactive balls offer. 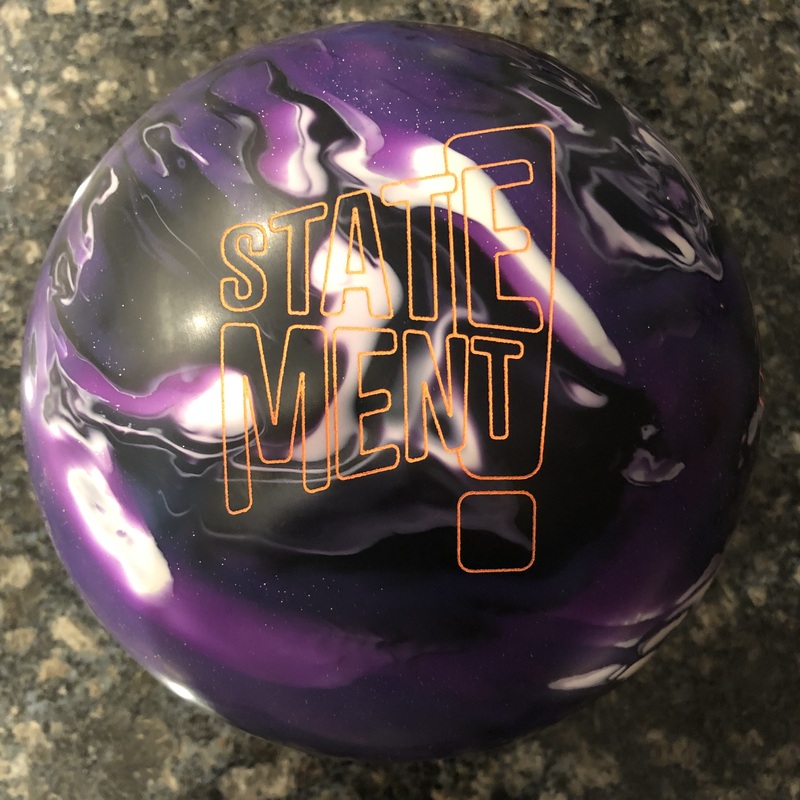 Previous PostBrunswick Nexxxus f(P+S) Bowling Ball Review with Digitrax AnalysisNext PostBall Giveaway!!! Storm IQ – Winner to be announced in August – Sign up NOW!! !